VOGO SPORT jumps into the Montpellier Occitanie International Jumping event, CSI 3*. The third edition of the Montpellier International Occitanie Jumping takes place from 6 to 10 March 2019 at the Sud de France Arena venue. On the program, 6 events including 4 counting for the Longines Ranking – the permanent world ranking of show jumping riders. The event will also be sponsored by Pierre DURAND, gold medalist at the 1988 Seoul Olympic Games with his legendary horse Jappeloup. And for the first time, VOGO SPORT is inviting itself into the career to enrich the experience of the spectators present at the event! The VOGO SPORT service, used here as an application, allows users to view the competition’s actions live from different angles. At any time, riding enthusiasts and professionals can go back to any time to review an instant jump, and use the slow motion or zoom functions. Riders will also have the opportunity to review their course after their passage in order to evaluate their performance… A “little revolution” in careers: the spectator becomes his own director, thus being a “SpectActor” of the event! 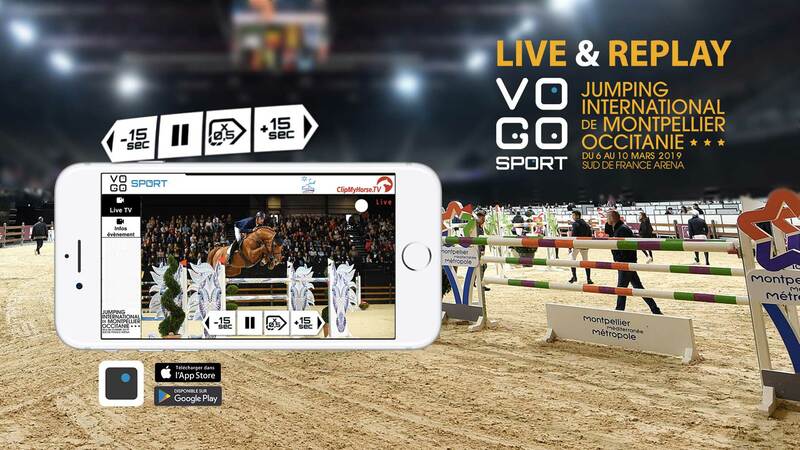 VOGO SPORT, who had already jumped with the 2017 and 2018 editions of the Longines Paris Eiffel Jumping, CSI 5* (Category 5 show jumping competition – highest level of bar height), is delighted to participate in a new equestrian show in its region with the Montpellier Occitanie International Jumping. Previous post VOGO SPORT at the Final4 of the League Cup! Next post VOGO, winner of 2019 "SPORSORA Trophies"